Hey guys, I have a part that I would like to have cnc plasma cut at the space but I haven’t had the time to get certified on the machine/take the class. I have the dxf file and the stock metal (1/4" thick steel), would any would be willing to cut it for me for maybe $25? I have attached the dxf here + a screenshot. I need two of these parts cut. Over all dimensions of a single part is about 12" x 6". 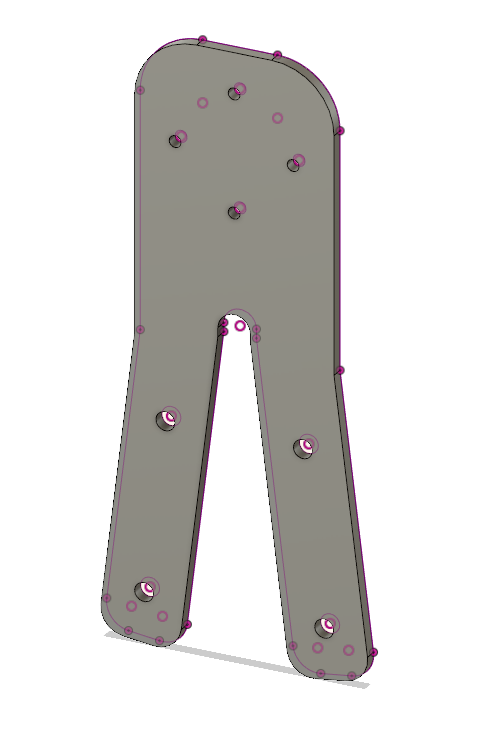 There are 8 holes total on the part - I am not sure how accurate plasma cutting is so I would like some clarity on that from whoever ends up taking the task. I’m pretty flexible during the day time this weekend so I’d be willing to meet up with you at a designated time, or just drop of the stock metal. Should be a bit of easy money for someone who is regularly. bumping this, would like to get it done asap. anyone up to it for $35?? I would recommend the holes just be “Punched” through for locating then drill them out, just take a few minutes on drill press. You’ll want to do a final drill out to clean up the edges. But the CNC will locate them precisely for you. Perfect, thanks for that David. I will update the dxf accordingly.